It is already day 5 in our activities countdown on the site, so make sure you check out the other summer activities that we have for you – so many to choose from! 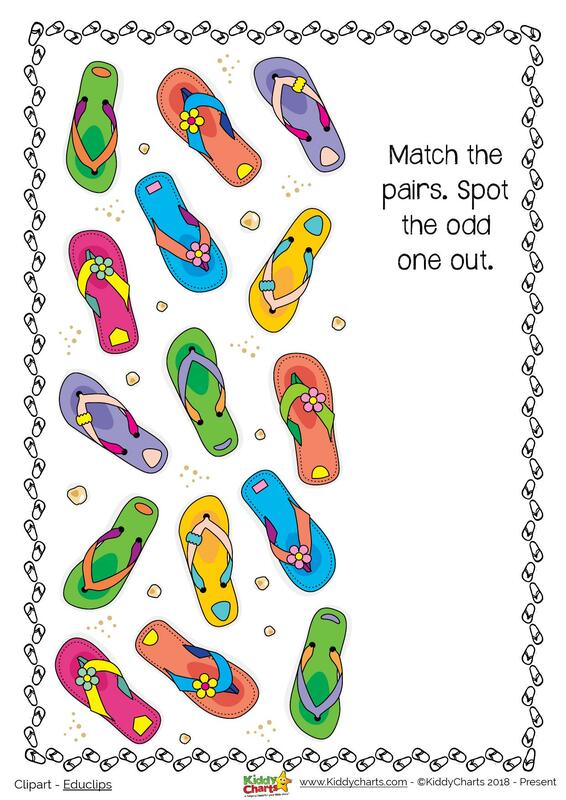 We have an odd one out activity for you today – and look at all these gorgeous flip flops…. If you are anything like me, as soon as the sun comes out, the socks are off and the fit-flops and flip-flops are well and truly on. It isn’t really summer until we have managed to get those toes out, with a little bit of bling nail varnish on, is it? Which one of these beauties is the odd one? We have shared lots of these kinds of activities with you already on the site, so why not check them all out, and maybe some more of the wonderful article that we have here too? How to make bottle cap sail crafts; this is one of our most popular pins – why not pin it for later when you’ve got a bottle to hand? Home made bird feeders are a lovely thing to make in the summer months – why not take a look at our quick and easy way of making one? We have enjoyed immensely bringing you this countdown, and only four days to go – sign up now for the final four printables, and also to make sure you get the weekly inspiration that we usually send our readers as well. We have so many ideas, and we love sharing them with you all. 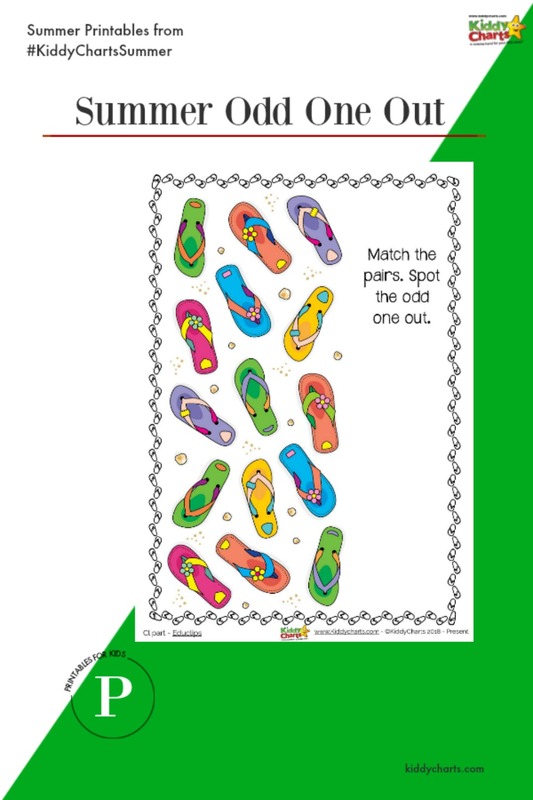 Obviously, you didn’t come for me just to waffle at you, so here is the odd one out printable for you to get. Just click on the lovely branded image below. Now pop those flip flops on after pinning this for the kids, and head out in the garden for a chill out! See you soon.